What Happens If a Scorpion Stings Your Pet? 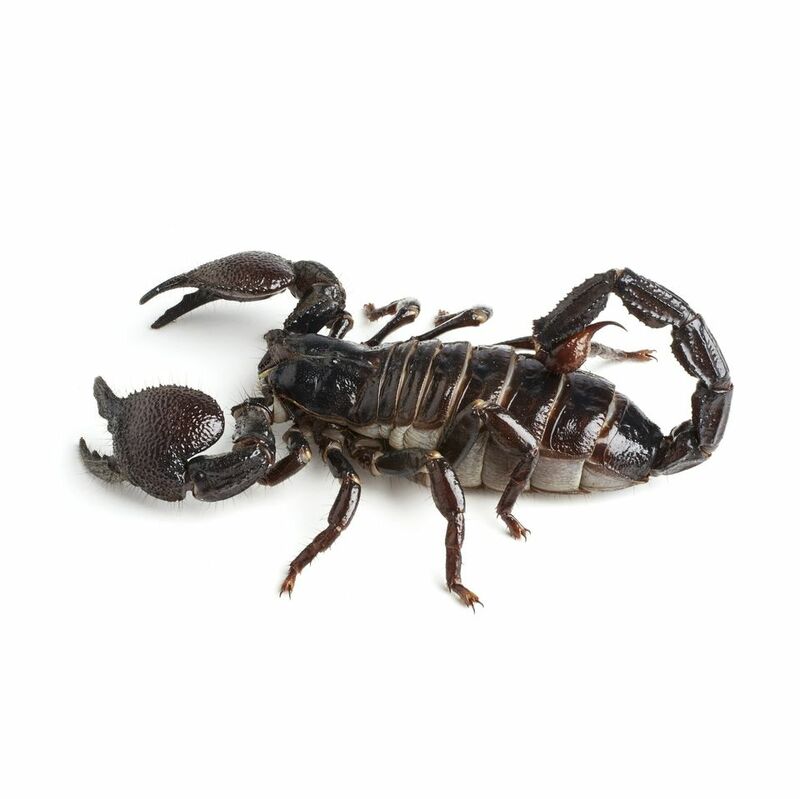 Pet owners in the Southwestern United States need to be concerned about scorpion stings. It's not uncommon for a curious dog or cat to have a run-in with one of these venomous arthropods. The good news is that a sting is typically not fatal but more of a painful irritation that goes away within eight hours. Nonetheless, if your pet has been stung by a scorpion, it is best to contact your veterinarian right away. Some animals can have severe reactions. The Arizona bark scorpion (Centruroides sculpturatus) is a venomous scorpion that lives in the Southwestern U.S. It is found throughout Arizona, in western New Mexico, southern Utah and Nevada and parts of southern California. It is the scorpion of concern in the country and the venom is relatively harmless to domestic animals. If you travel with your pet to other areas of the world where scorpions are prevalent, you will need to be more cautious. Educate yourself about scorpion species in tropical jungles and similar destinations before you leave for your trip. It may even be a good idea to leave your dog at home. Scorpions are nocturnal and only come out at night, preferring to hide in dark areas (including shoes). If you live in an area with scorpions, be sure to watch your pets carefully at night. During the day, scorpion encounters often occur when curious dogs and cats dig up and disturb a scorpion nest. Quite often, scorpions will sting animals on the nose, tail or paw. It is a self-defense mechanism because the only other time a scorpion strikes is when it's trying to catch prey. For many animals, the sting of a scorpion is similar to an insect sting, with pain and swelling at the site. From human reports, the pain can be intense and varies with the location of the sting. Some people also experience numbness. Localized pain, signaled by yelping, licking, limping, head shaking, rubbing, etc. Hypertension (high blood pressure) is possible in some animals and can lead to serious complications. Most animals recover without a problem. Some however, will have a more severe reaction, showing signs of neurologic, cardiovascular and pulmonary collapse. According to a small study by the Arizona Poison and Drug Information Center, small dogs tended to have a more severe reaction than larger breeds. In most cases, the dogs recovered within four hours of the sting. Some effects were noticed as long as eight hours after the encounter. Though they only had seven cats in the survey, it seems that cats may experience severe reactions as well. Owners reported "tremors, agitation, roving eye movements and changes in breathing." This report alone seems to counteract the myth that cats are immune to scorpion stings. The Arizona agency also points out that it's possible that fewer cat cases were reported because cats have a higher tendency to hide when injured. If you see or suspect that your pet has been stung by a scorpion, call your veterinarian immediately. If the scorpion is still around and you are able to safely catch it, bring it along for proper identification. The vet will likely try to remove the stinger, clean the wound and apply a cold compress. Pain or allergy medications (specifically Benadryl) may also be prescribed or recommended. If the sting occurs on a hike or in a similar situation where immediate veterinary care is not available, there are things you can do. The goal is to make your dog as comfortable as possible until you can get to a vet. You can carefully rinse the sting site with cold water and apply a cold compress for 10 minutes. It may be difficult, but try to keep the stung body part above the dog's heart. Only if you can do so safely (without being nipped as well), it is possible to remove the stinger with a pair of tweezers. Do not give your pet any medication — human or veterinary — without talking to your vet first. Only they know your pet's medical history and can tell you what is safe or if any medications are needed. Cheng D. Scorpion Envenomation. Medscape. 2017. Hendrix CM. Venomous Anthropods: Spiders and Scorpions. Merck Veterinary Manual. 2018. Holzman D. When Scorpion Meets Cats & Dogs. Arizona Poison and Drug Information Center. 2014.